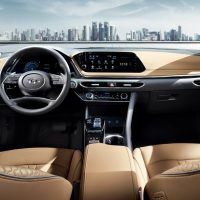 Hyundai’s new platform for the 2020 Sonata enhances the sedan’s safety. 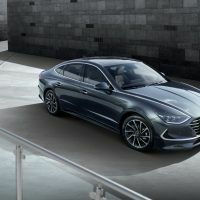 The 2020 Sonata is the first model in Hyundai’s lineup to utilize the platform. Hyundai will expand the new platform to include other vehicles in their portfolio. Sensuous Sportiness design concept. Try saying that three times fast! 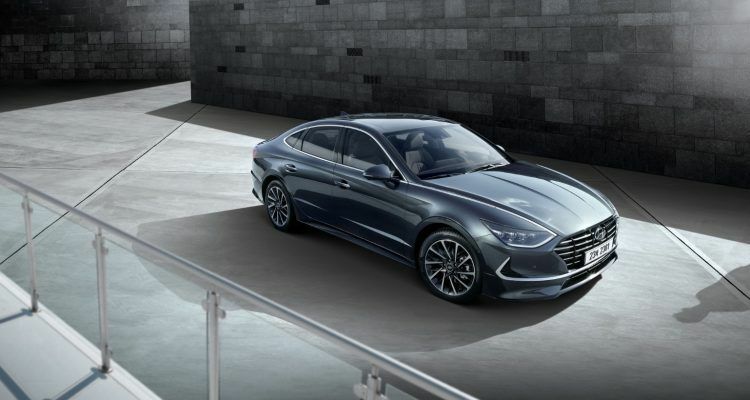 Despite the phrase being a tongue twister, it’s the inspiration behind the 2020 Hyundai Sonata. Last year, at the Geneva International Motor Show, Hyundai revealed how their future cars might look with the Le Fil Rouge concept. “Sensuous Sportiness” was the Le Fil Rouge’s central theme, united by four distinct traits: proportion, architecture, styling, and technology. 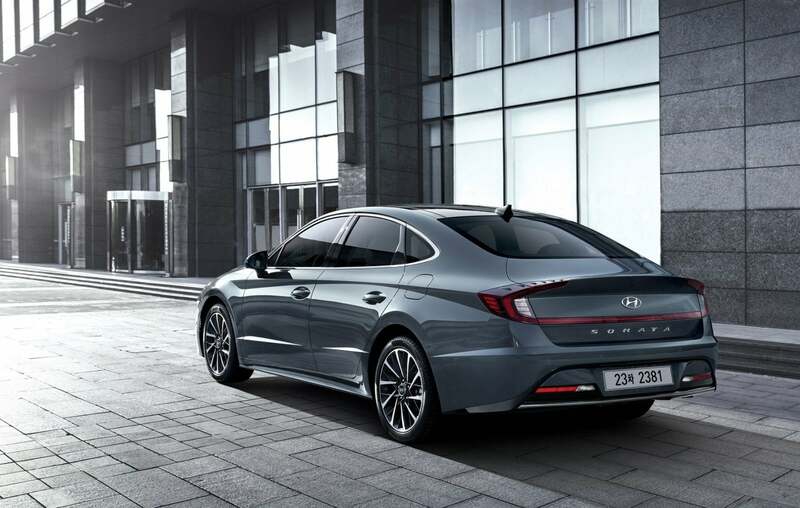 The 2020 Hyundai Sonata is sharp and sporty, its refined dimensions giving it an edge over its predecessor. For example, the new Sonata drops by 30 mm yet receives a width extension of 25 mm. The wheelbase grows by 35 mm, as does the car’s entire length by 45 mm. At the rear, the “ultra-wide” taillights convey a sense of width and breadth. We could spend more time pouring over the technical design details, but the big takeaways are the layered (and long) hood, low stance, and sleek roofline. 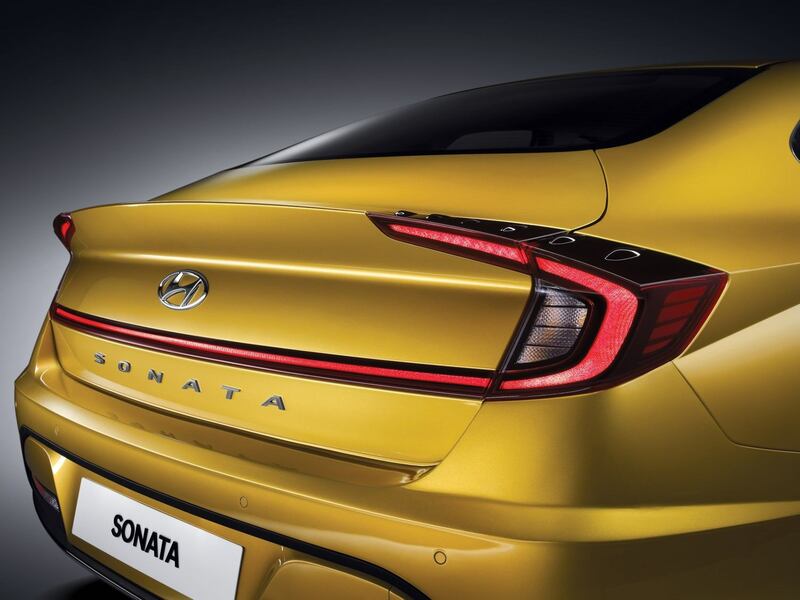 These elements bring home the styling of the 2020 Hyundai Sonata. But the real sweetness is hidden from view. 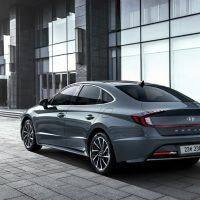 The 2020 Hyundai Sonata features a new vehicle platform. Hyundai Motor Company. 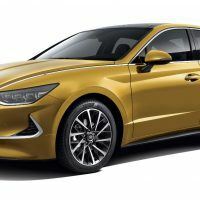 The 2020 Hyundai Sonata floats down the road on the automaker’s latest vehicle platform. 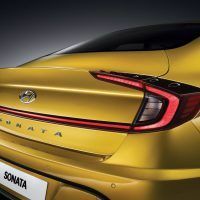 The new Sonata’s foundation is lighter to improve fuel efficiency and handling; the center of gravity drops and lateral stiffness increases, both of which accentuate the Sonata’s handling. Considering the Sonata is an ideal family car, crash protection is paramount. Thus, the new platform employs super-high tensile strength steel and hot stamping. Further, the new platform benefits from a multi-load path structure to better absorb and redirect crash energy. Testing conducted by the Insurance Institute for Highway Safety finds small overlap crashes often bypass a typical vehicle’s main front structure. IIHS commonly finds that small overlap crashes on the driver’s side force that tire rearward and into the footwell. This increases the chances of leg and foot injuries because the “intrusion” of an exterior component is now greater. With Hyundai’s new platform, the Sonata’s tires now move outward during small overlap collisions. This change should, in theory, lessen such intrusions, while reducing the likelihood of uncontrolled spins, during an accident, that cause secondary collisions. The hot stamping also mitigates “deformation” of the interior, meaning the vehicle’s body is less likely to intrude on the occupants during an accident. Multi-load path structures increase crash energy absorption in the event of a collision. Photo: Hyundai Motor Company. 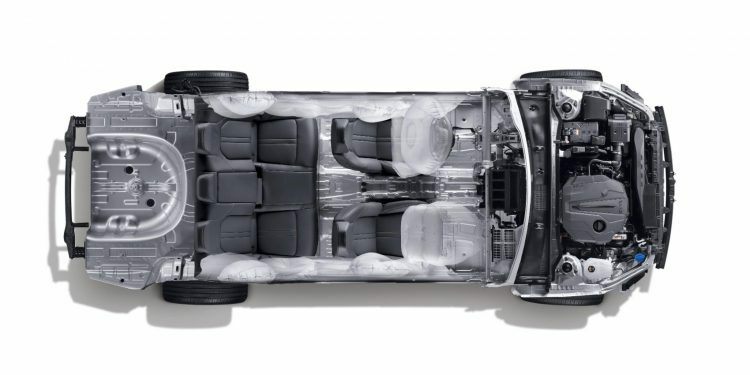 On the performance front, we run into another tongue twister in Hyundai’s “Smartstream Powertrain.” The automaker says this was done to accommodate a possible application of a “next-generation engine,” but as far as the new platform is concerned, it’s about aerodynamics and cooling. 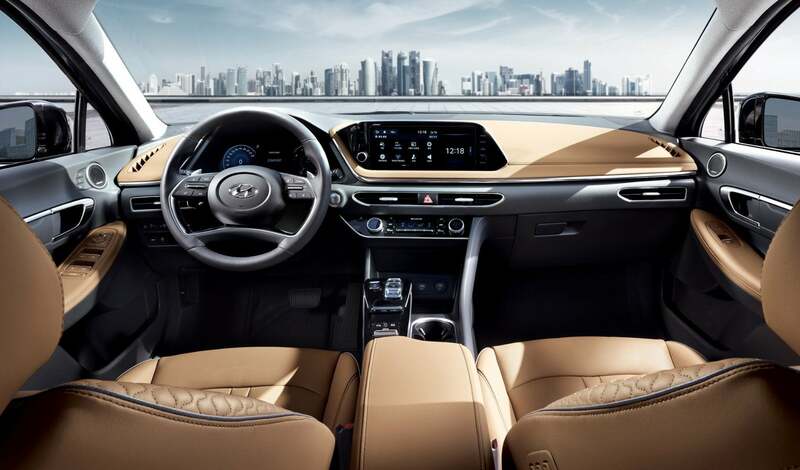 For example, the platform directs air to the engine bay for better heat dissipation, while minimizing air resistance around the Sonata’s lower body. Hyundai says they will expand the new platform to future vehicles. Applying it across their range will help the automaker stay competitive by allowing for greater flexibility during vehicle and product development. On the consumer end, however, the immediate benefits will come in terms of efficiency and safety. 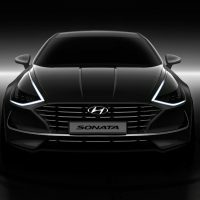 Expect the 2020 Hyundai Sonata stateside this fall. Photos & Source: Hyundai Motor Company, IIHS. 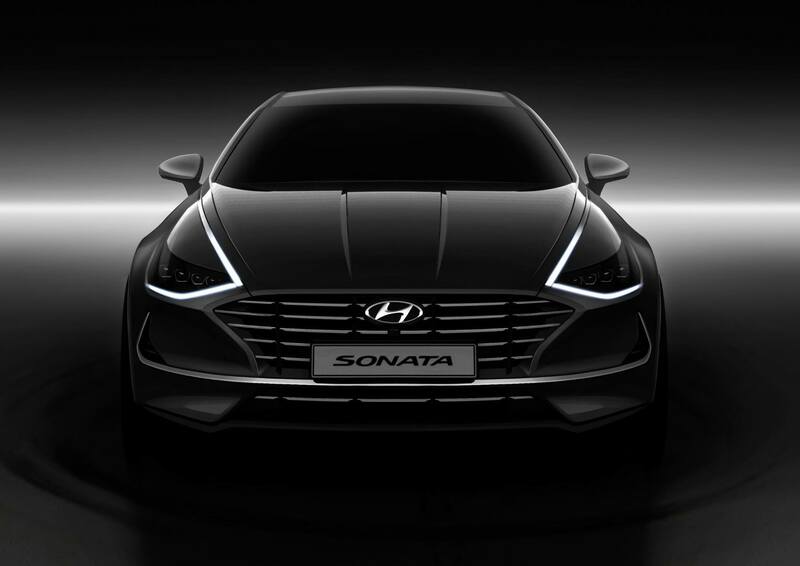 No Comments on "2020 Hyundai Sonata: When Beauty Is Beyond Skin-Deep"